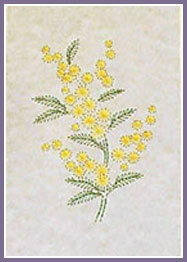 The Mimosa or Silver Wattle is a pretty subject for an All Occasion Card.  The background colour does need to be pale enough to contrast with the Lemon Yellow of the Flowers and yet show up the Green Leaves. 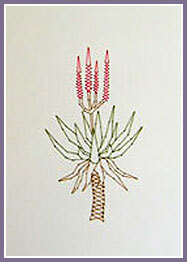 The Aloe was a “request” Design from the Eastern Cape where they are a feature of the area’s landscape. Worked here in Silky Threads.